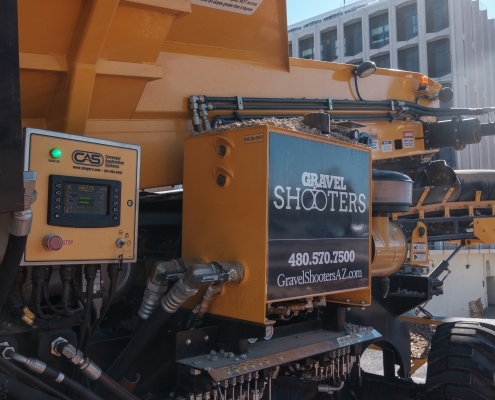 At Gravel Shooters, we’ve made transportation, placement and leveling of aggregate materials a science. Our innovative process delivers pinpoint placement of materials without damaging surrounding areas. 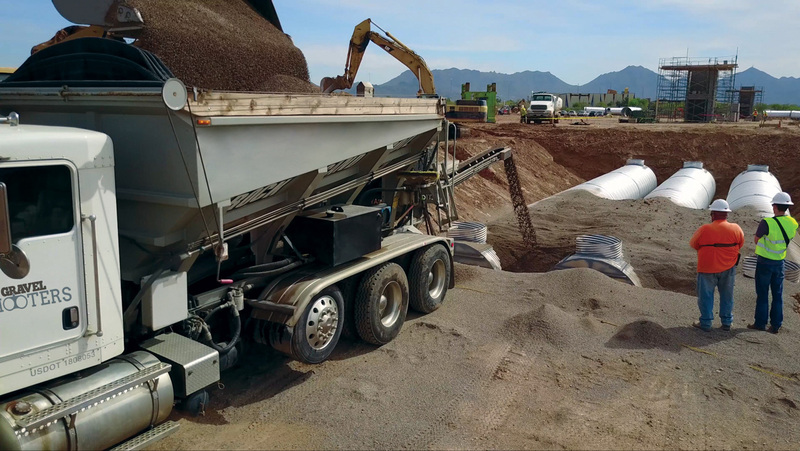 Even in those hard-to-reach spots, we’re able to place gravel, sand, topsoil, wood chips and other materials right where you want them. Our specially designed equipment gives Gravel Shooters the unique ability to work around obstructions or over restrictive areas from up to 100 feet away without encroaching on grass, concrete or landscaping. 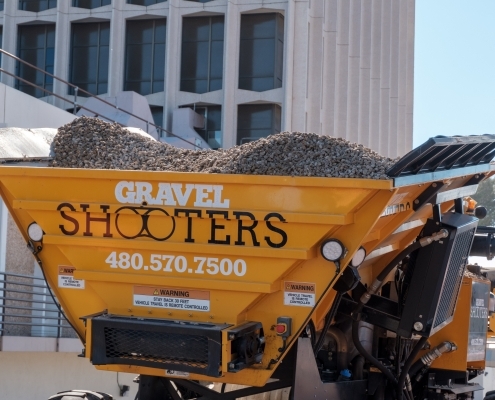 Our team at Gravel Shooters has helped us build a solid reputation for safety, efficiency and dependability. 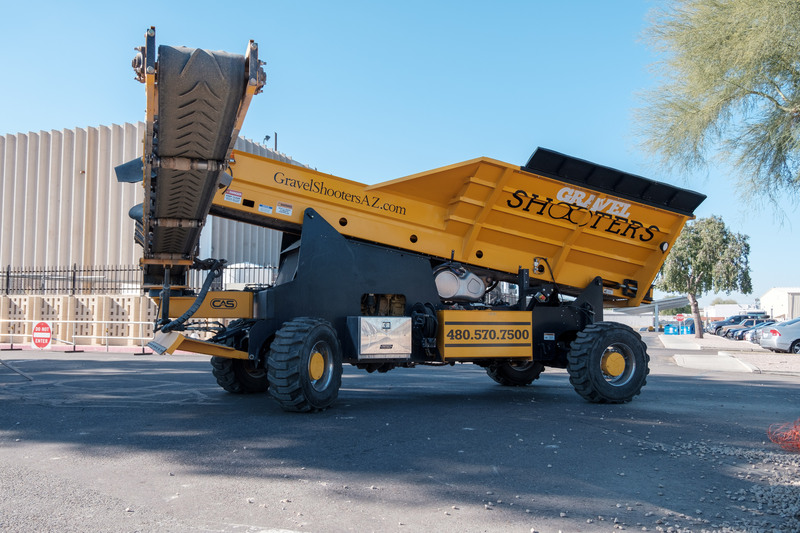 We’re a small, cohesive team without a lot of overhead, which allows us to be extremely competitive for any sized project. 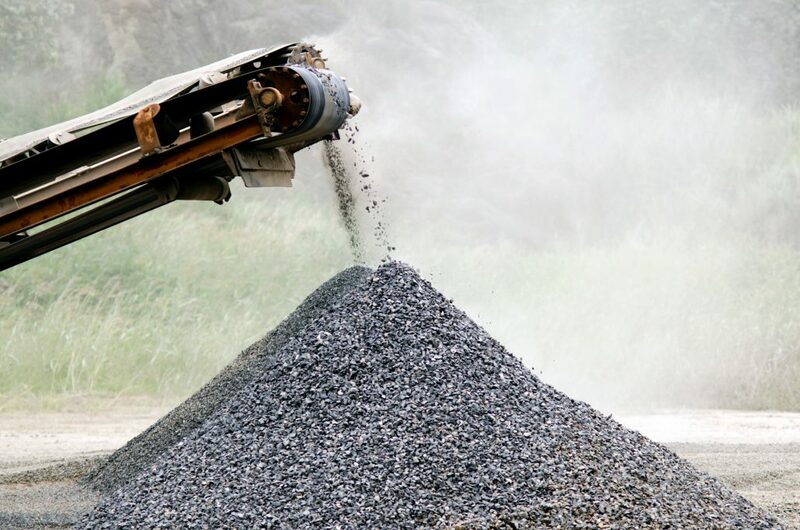 We source our materials directly from area mines and pass that savings on to you. 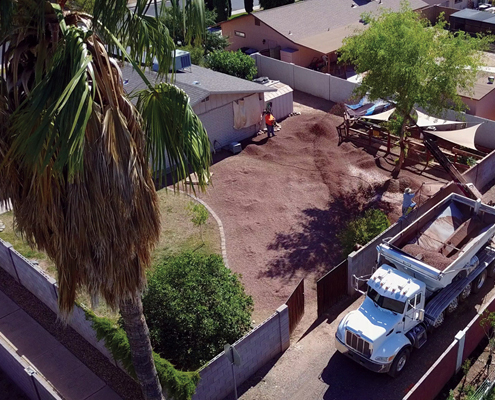 Whether it’s a large scale construction project or a backyard landscape project, we’ll get the job done right. Need your job done ASAP? 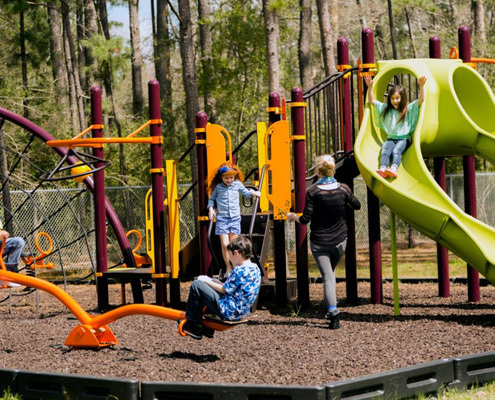 We often schedule same-day or next-day projects at no extra charge. It’s just part of our culture and commitment to customer satisfaction. 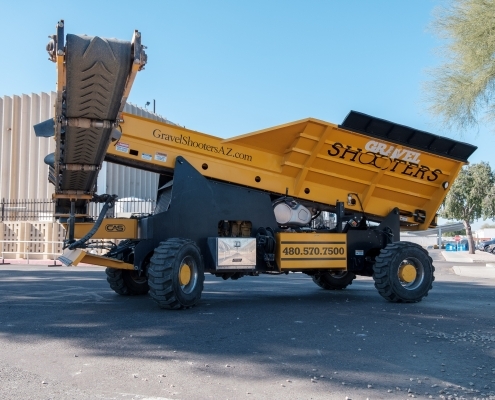 The Perfect Partner for your Commercial, Residential or Recreational Project. Customized Equipment. Superior Materials. Solid Performance. 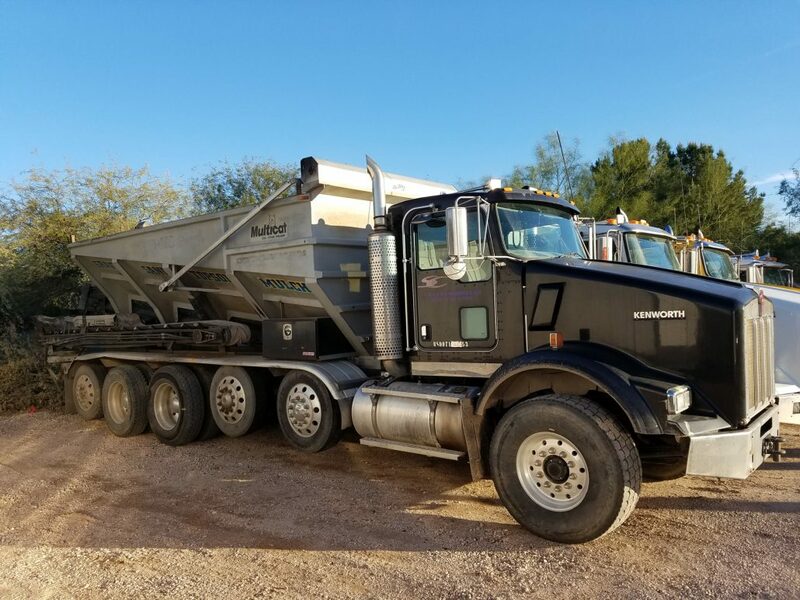 As the first company to introduce aggregate conveyor trucks in Arizona, Gravel Shooters has served thousands of customers in that time, building a solid reputation for service and professionalism. 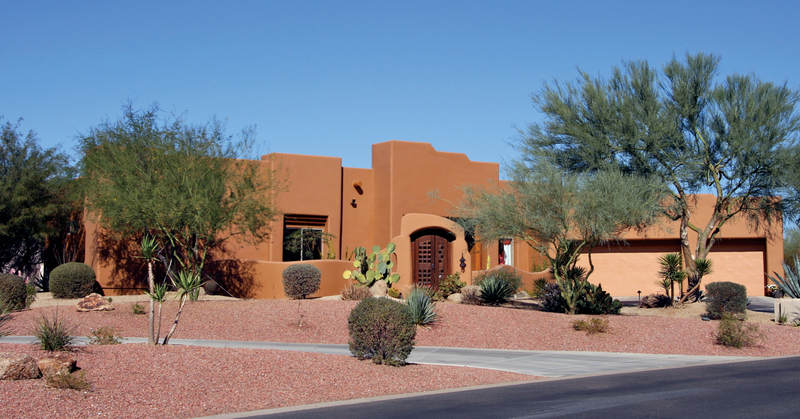 For more than two decades we’ve worked closely with civic leaders, commercial builders, residential contractors and homeowners to provide the specialized tools and expert knowledge to get the job done right. 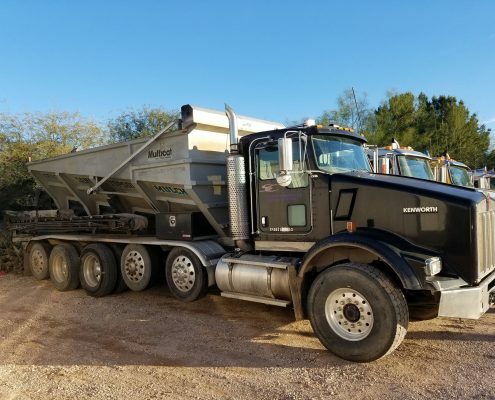 It’s the fastest, easiest and most economical way to get gravel, sand, topsoil or other material where you want it, when you want it. 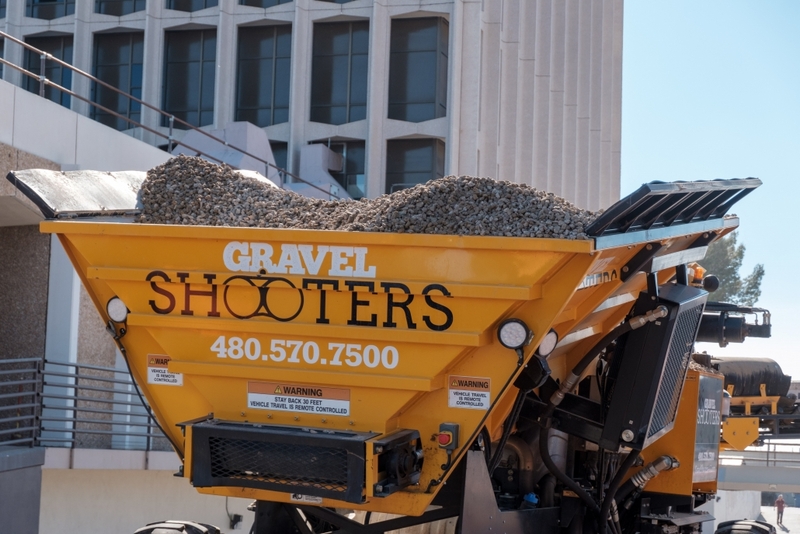 I wanted to drop you a note to let you know how impressed I was with Gravel Shooters. The customer service was great. I would recommend your company to anyone. Thank you for the outstanding job you and your crew did placing rock in the Ray Ranch neighborhood. 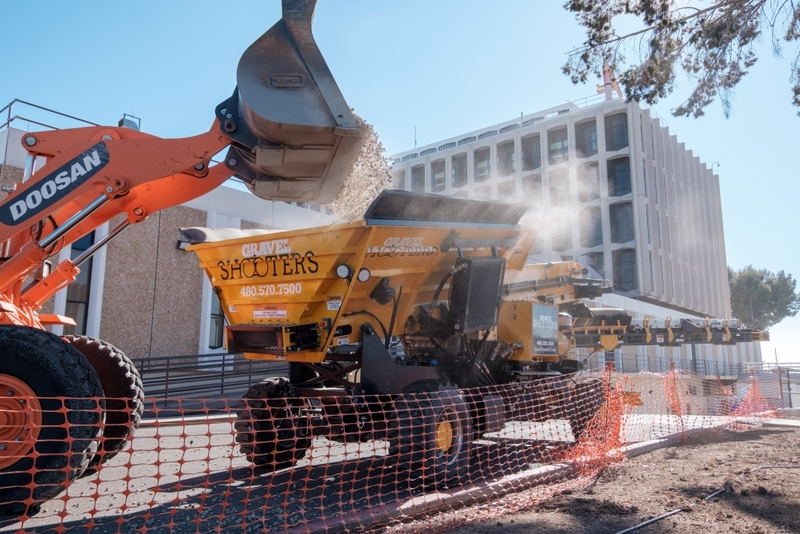 Gravel Shooters does bedding and shading work for all our commercial projects. We use them exclusively. 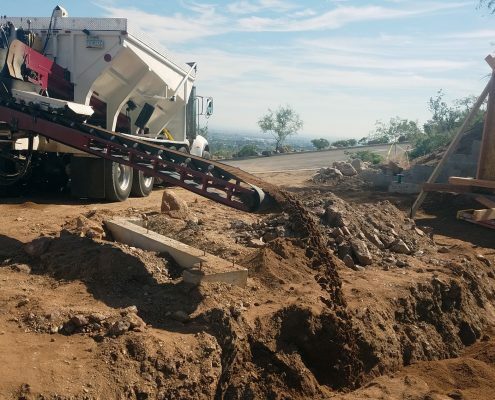 Our job sites are typically small and can be really tricky to work in. 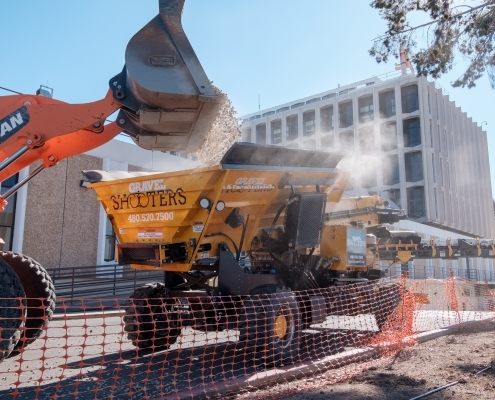 Their conveyor trucks are the only equipment flexible enough to work around obstacles. 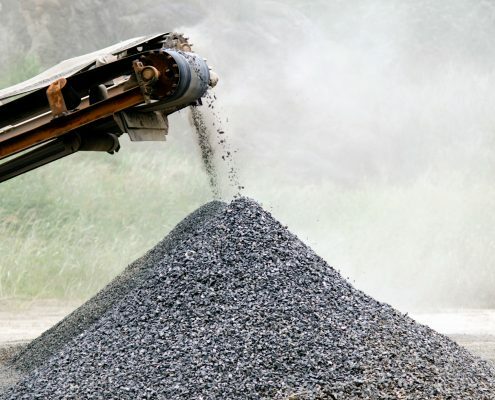 It makes things a lot easier for us on site and cuts down job times dramatically. They’re a very valuable partner for RML. Cheers to this Five Star company that handles jobs from out of state too! 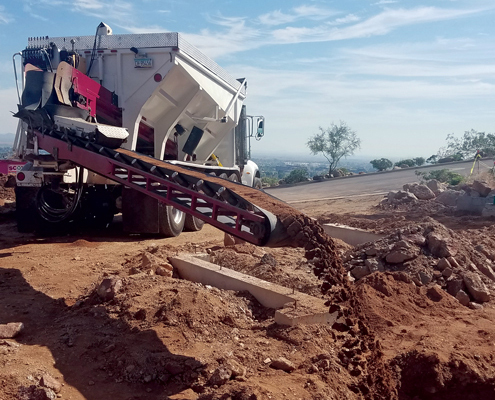 They helped me prep my Arizona home, answered my messages through 8pm – I’m in California and without their willingness to help the yard would remain a dirt lot – not a cool look for rental. 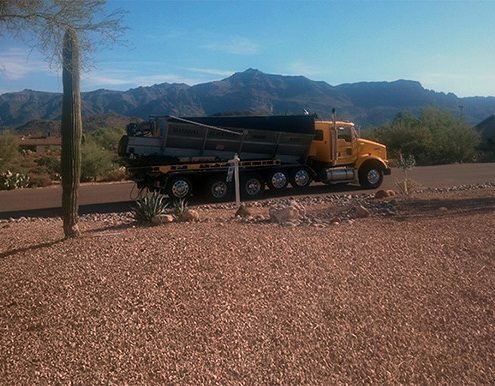 Thanks guys…yard looks amazing all the way from Cali. We chose Gravel Shooters to help us with a large-scale solar farm we were constructing. It was a very big project that only a handful of companies in the region could have handled, and they did a terrific job. Their prices were good and Mike was a pleasure to work with. I would recommend them to anyone. 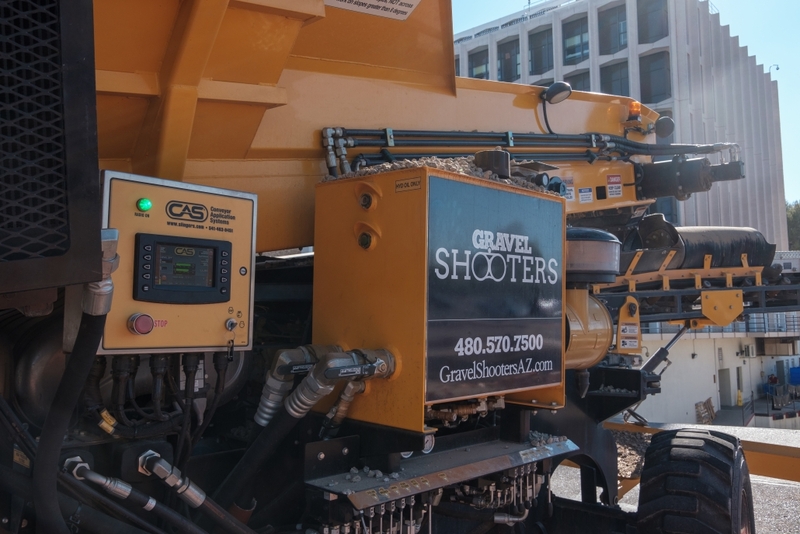 Gravel Shooters has been our go-to company for years on everything from wood chips on our playground to sand in our riding arena. I just call and tell them the sq. 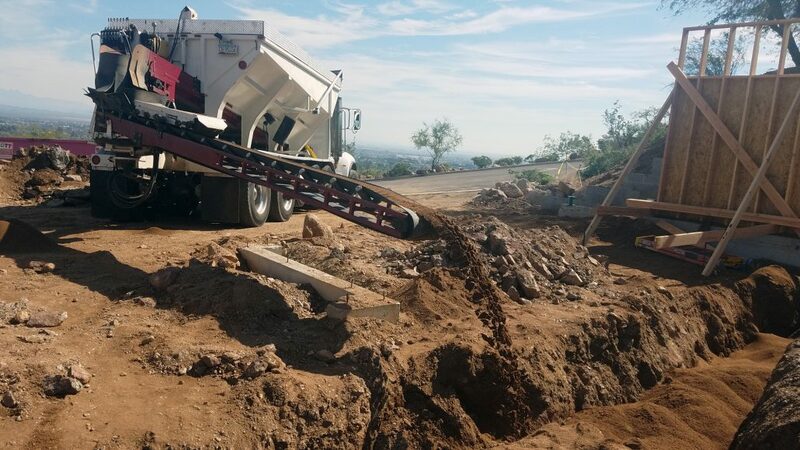 ft. of the area, what material we want and a truck arrives in the next day or two. They make it really easy.